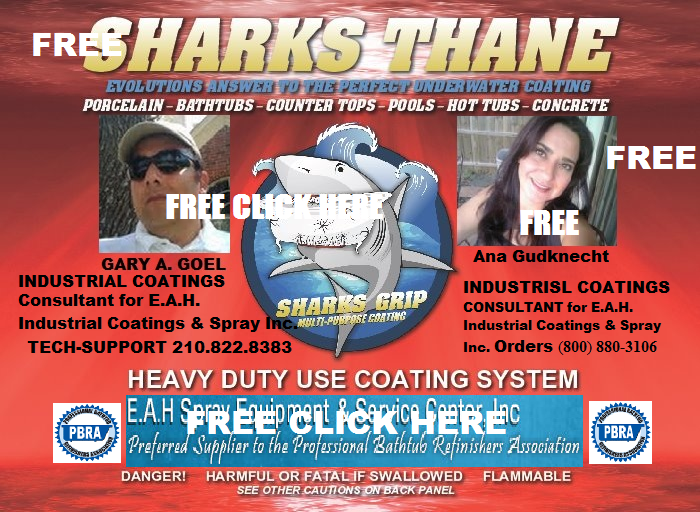 EAH Industrial Spray Equipment Coatings & Home of the PBRA | The Professional Bathtub Refinishers Association an EAH company. My name is Gary Goel and I built the first Professional Bathtub Refinishers Association in 2002. I took it from a mere message board with the help of all my friends, also known as members. We eventually grew to a point when a Texas Firm E.A.H. Industrial Coatings & Spray Equipment with 30+ Years of Supplying ALL types of industrial finishes saw an opportunity to gain an online presence. With three stores in Texas they were already servicing Hundreds of Refinishers. In fact it's where I started buying equipment and sundries in the Early 90's. I would have never dreamed then I would be a Partner in this firm. So after living the life of a refinisher and listening to thousands of refinishers in the PBRA for these years we decided to take that experience and EAH's Far Reaching connections into the largest most reputable coatings factories and build a product for refinishers by refinishers. What we sell is a reflection of the refinishing community. We don't sell coatings we help build companies by listening and if we must build a coating for a specific need. I think we are different than many because we don't want to sell to everyone. Just the best. We want it limited so we can have time to listen and visit with our customers. Your success is a reflection of our business and it's our goal to service the " chosen few". We want to help everyone but trying to do hurts our ability to give Super Support after the sale. Even on the Weekends. Almost every refinisher I come in contact with has mine and Ana's cell phone number and we are here to support you anytime you need it. This entry was posted in Professional Bathtub Refiishers Association pbra on December 28, 2012 by EAH Industrial Spray Equipment Coatings & Home of the PBRA. This entry was posted in Professional Bathtub Refiishers Association pbra on December 18, 2012 by EAH Industrial Spray Equipment Coatings & Home of the PBRA. This entry was posted in Professional Bathtub Refiishers Association pbra on December 12, 2012 by EAH Industrial Spray Equipment Coatings & Home of the PBRA.